Ever since the Hyundai Veloster was launched for the first time, it has been a success. Even though there are many automakers producing compact hatchbacks, the truth is that the Veloster seems to have gathered a lot of fans. If you are one of them, you will be glad to know that the 2019 Hyundai Veloster is right around the corner. 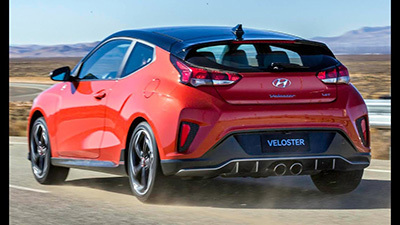 As you probably already know, one of the main differences between the Veloster and its direct competitors is the three conventional doors – the door on the driver’s side and the two doors for the passengers. Let’s take a look at what you can expect from the brand new 2019 Hyundai Veloster. In case you are wondering, the 2019 Hyundai Veloster already reached dealerships. As usual, the price of the 2019 Hyundai Veloster will depend on the trim that you choose. The base price of the 2019 Hyundai Veloster is $19,385 and it already includes the $885 destination fee. In case you prefer the 2019 Hyundai Veloster Premium, you should know that the base price is $23,635. In the case of the 2019 Hyundai Veloster R-Spec, you will need to spend, at least, $23,785. 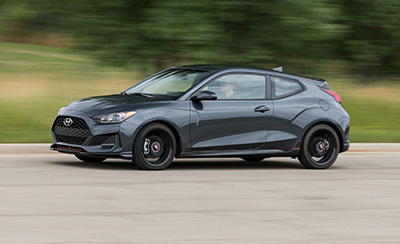 For the 2019 Hyundai Veloster Turbo, you’ll need to spend $26,285. If you are looking for the top trim, you should pick the 2019 Hyundai Veloster Turbo Ultimate. In this case, you will need to spend at least $27,535. One of the major changes in the 2019 Hyundai Veloster is related to the exterior design. In fact, you can expect to see a full redesigned 2019 Hyundai Veloster. While the main design element of the car and its unique signature continue to be the unique door configuration, you will be able to spot some differences when compared to the previous generation of the Hyundai Veloster. Featuring a sporty roofline, the 2019 Hyundai Veloster looks incredibly beautiful. The front fascia now includes a prominent grille as well as the headlights are slightly slimmer, which goes in line with the latest Hyundai models. 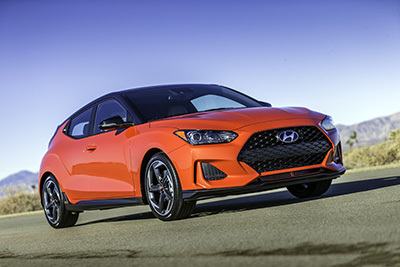 One of the things that will put a smile on a lot of people’s faces is that the 2019 Hyundai Veloster allows you to pick from different engines. The secret is just to choose the right trim level for you. Under the hood of the new 2019 Hyundai Veloster, you’ll be able to find two engines that were already used in the previous generation. These are the base 2.0-liter inline-4 engine and the 1.6-liter engine that you can find on the 2019 Hyundai Veloster Turbo trim. While the first engine was slightly improved – it can now produce 147 of horsepower and is able to deliver 132 pounds per feet of torque, the second engine is exactly the same. 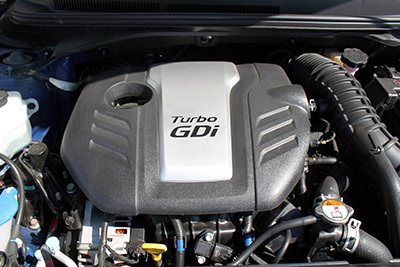 In case you are wondering, the Turbo’s engine is able to produce 201 of horsepower and 195 pounds per feet of torque. In terms of the transmission, you can expect to get either a 6-speed manual or a 6-speed automatic gearbox. 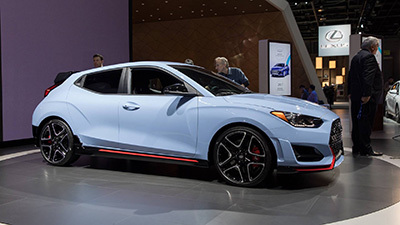 In case you are looking at the 2019 Hyundai Veloster N, you will get the 2.0-liter turbo-4 engine which is able to produce 275 of horsepower and 260 pounds per feet of torque. In terms of the transmission, this engine is paired with a six-speed manual transmission. 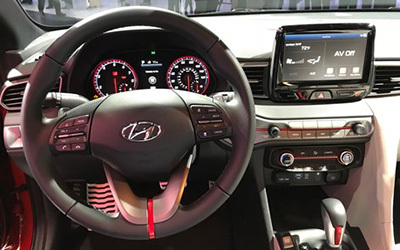 While the main changes you can see in the 2019 Hyundai Veloster are in the exterior, there are some subtle changes inside the cabin as well. The truth is that the automaker seems to have got inspiration from the Hyundai Kona. In fact, you can see the large display with 7 inches at the center stack. In terms of the seats, the base 2019 Hyundai Veloster come covered with cloth. However, they are covered with a grippy cloth and leather in Turbos, and full leather in the top trim level. While you may feel the 2019 Hyundai Veloster is a bit narrow, there is still plenty of space for heads and legs. In terms of safety, you can expect all 2019 Hyundai Veloster models to include active lane control, rearview camera, and forward collision warning with automatic emergency braking.